For sale is my 2005 Dupont Nomade. 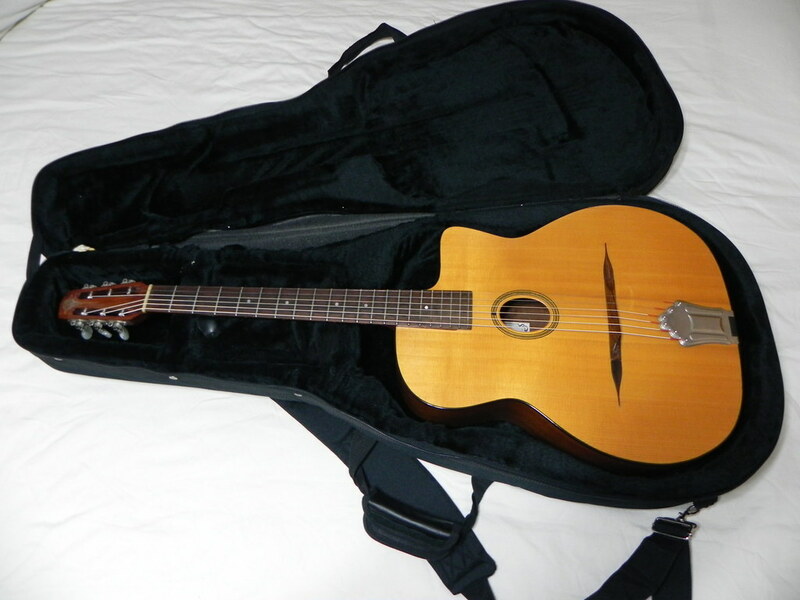 I just picked up an AJL 503 XO so I no longer need the Dupont and need to sell it recoup some money from buying the AJL. First off the guitar is in very used/player's condition. 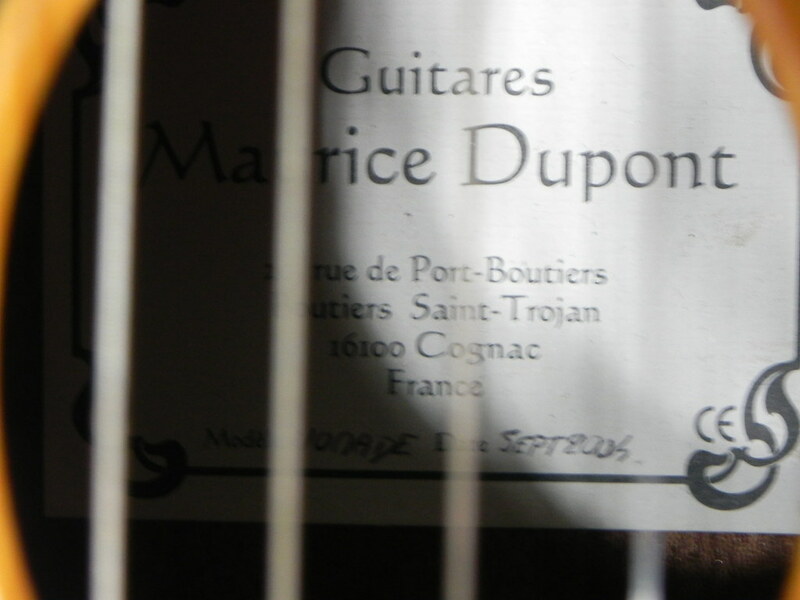 There are numerous dings, bumps, and scratches over the guitar. There is some fretwear as well but nothing major that affects the sound and playability of the guitar. I took over 70 pictures of the guitar in the photo album showing the guitar at various angles including lots of close up shots. If you need any more pictures just let me know and I will happily take pictures. 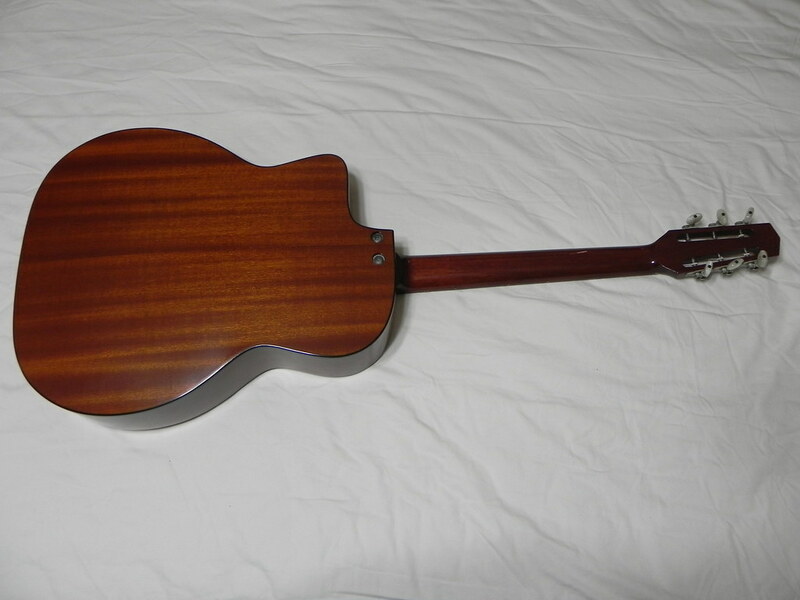 The two most notable things about the guitar's condition is that there is some lacquer missing from the neck by the 2nd and 3rd fret and the end strap pin does not stay attached.. It is smooth and does not seem like it will chip off any further. I do not even notice it when I am playing. Regarding the strap button, it does not stay in the "in" position and pops out when playing but does not completely come off. It does not affect anything since the tailpiece is secured to the body by screws. The guitar plays and sounds fantastic despite the physical condition. 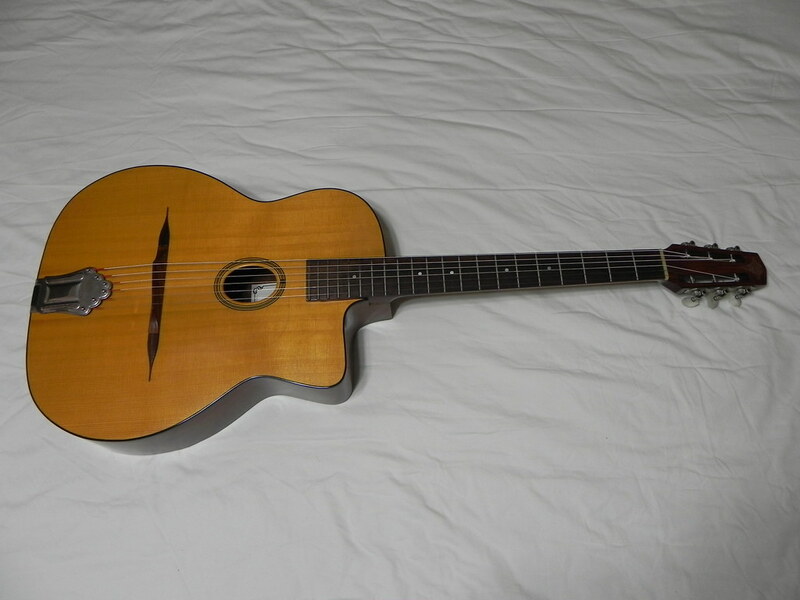 I have played it at my local gypsy jazz jam and everyone comments on how good it sounds and how it plays very well. Includes Roling's gig bag/case (note that the flap inside the case is no longer attached). Price is $SOLD shipped and PayPal'd. Continental US only please. No trades please. I am located in Madison, WI and will give a discount for a local deal since I do not have to ship it.